Yes ! I’m drinking the best espresso that I have tasted if you think about what you want in a cup of espresso – aromatic before you grind, dark reddish brown as you extract, almost syrup like as it pours, glossing your tongue as your lips touch, soothing your stomach as it descends with a silky sweet and smooth finish and finally as a digestive to clear your stomach of any impurities. Have I lost you ? I haven’t even finished yet. At first, I tasted caramel, then dark chocolate and finally milk chocolate. Wow ! 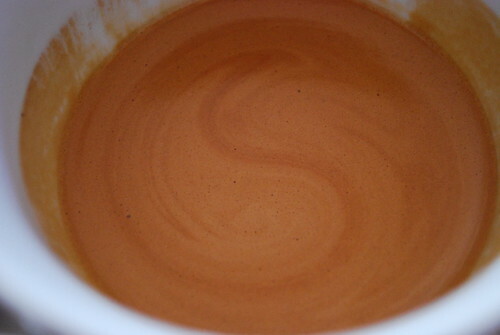 this was an espresso. 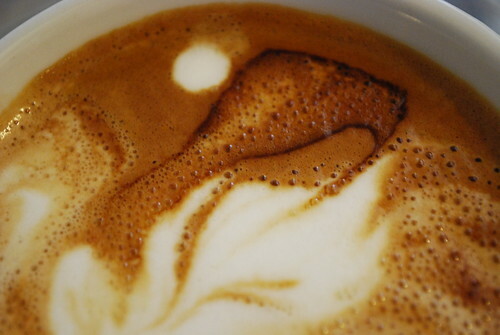 It was like the coffee was having a conversation with my tongue. 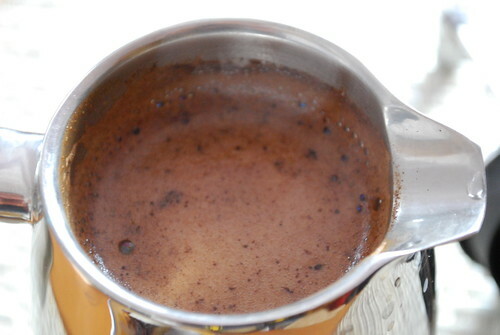 When slightly under-extracted the taste was vanilla like and when slightly over-extracted the taste was intensely dark chocolate – you know I wasn’t going to waste this coffee, no matter what the extraction. 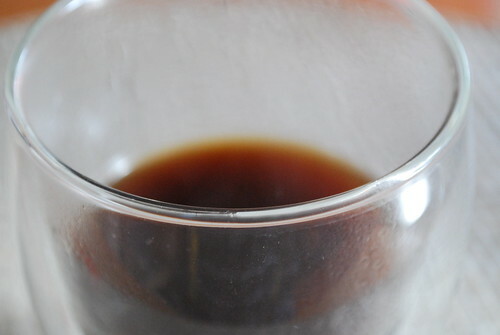 Also, as soon as you finished the cup, within a minute you could feel the coffee working through your digestive system, which is good after a heavy meal in the evening. OK ! who made this, or should I say, who roasted this ? 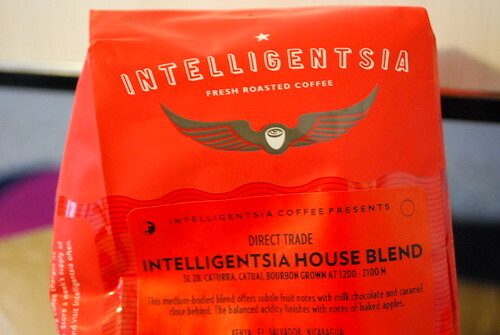 INTELLIGENTSIA !!!! – Did I misspell ? No ! 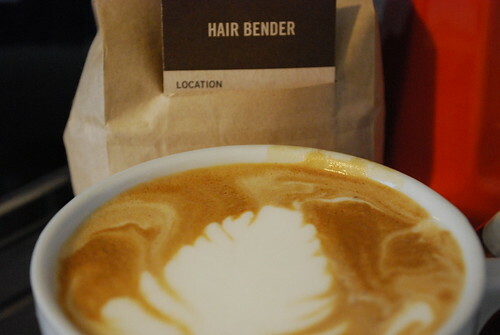 I didn’t, but with coffee tasting this good, they can call themselves what they want, pertaining to intelligence. OK ! so who are Intelligentsia ? 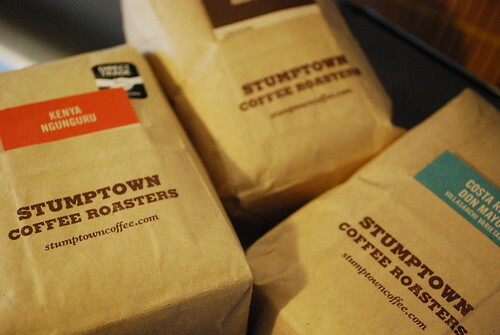 Quite simply, they are one of the most famous coffee roasters in the World, located originally in Chicago since the mid-1990s, but with shops in Los Angeles and New York now. 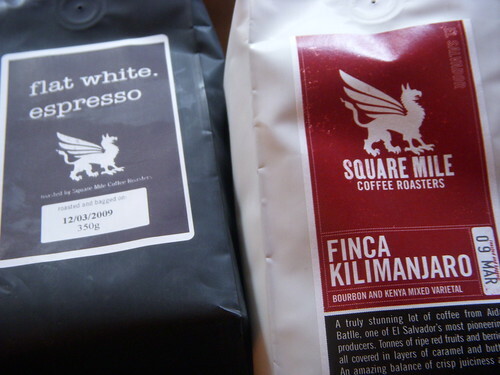 I heard about them through sifting through lots of coffee blogs and so when my parents went to America, I ordered a couple of bags from Intelligentsia, their famous Black Cat Classic Espresso blend and of course their House Blend, which was recommended for milk based drinks. 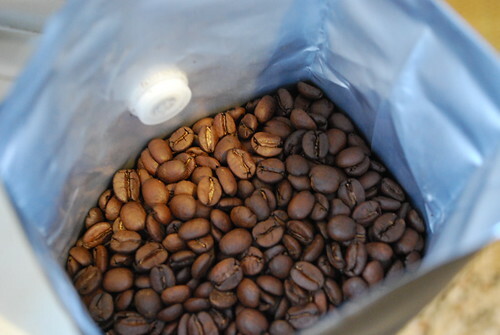 Their service was so efficient that the bags were delivered within 3 days after being roasted and I didn’t pay the super-duper postage price either. You can imagine the excitement when my parents returned from the States – like a boy excited to see a bag of sweets and tons of presents. 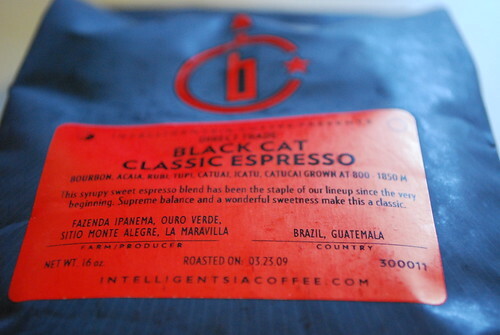 I was even more excited when I saw that the good guys and gals at Intelligentsia had doubled my portion of the Black Cat Classic Espresso for free, thanks Intelligentsia. 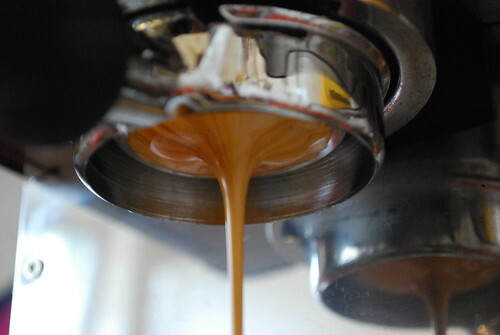 I was so enthralled by this espresso that I told as many people that I know who are into espresso about it and invited a couple round to taste it – trying my best to share the pleasure. In any case, they too were impressed with the espresso. 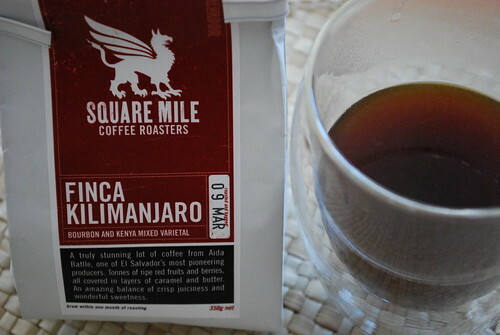 This coffee was no doubt excellent as an espresso, but for milk based drinks (my usual for the morning before 12 of course) it was nice too, teasing out more of the toffee/caramel tastes too. So if anyone is heading off to the States, please do yourself a favour and order coffee from Intelligentsia and they are not paying me to say that. 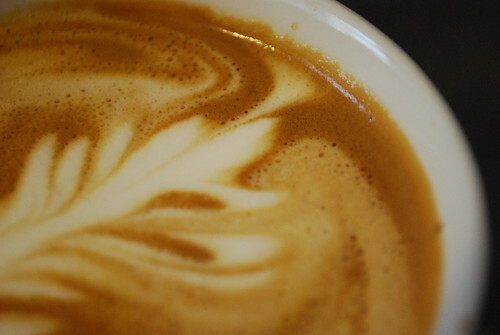 Nice too, with chocolate overtones and a real winner with milk, bringing out a toffee whirl on your tongue. As an espresso, it wasn’t as glorious as the Black Cat but with two tastes of milk chocolate and toffee, inspiring me to pour this. 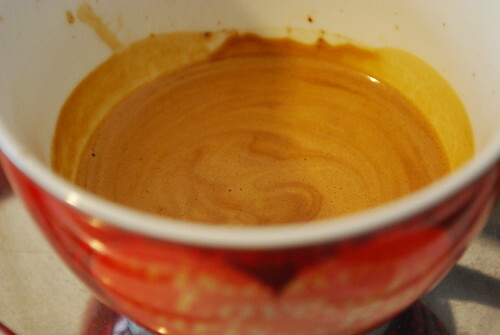 I also experimented, making a triple espresso cappuccino – over-extracting one portion (slightly dark) on top of slightly under-extracted double portion and pouring milk over it, et voila, see below. OK ! 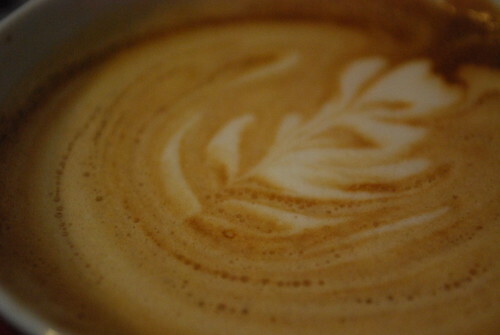 I better stop, but please visit Intelligentsia on www.intelligentsiacoffee.com (it’s also on my blogroll). They sell tea too, and lots of equipment and have lots of other interesting stuff on their website – they have a half day coffee school too. 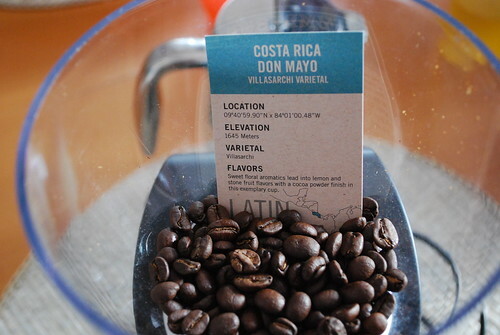 One of the main reasons they have such great coffee is that they promote the “Direct Trade” concept, where they deal directly with coffee farmers and form a good relationship with them, ensuring that they get the best coffee, whilst not exploiting them. 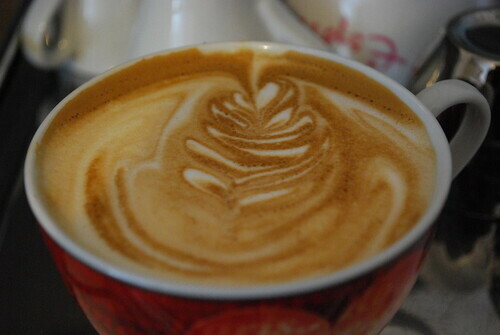 So hands up to them and I’m so glad that God gave me this special moment to sample such great coffee….. Intelligent – sia.